A toasted hemp and thistle honey red ale featuring honey from Kitako lake honey. 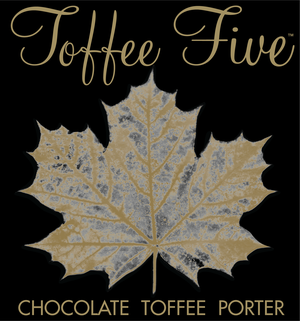 The slightly sweet toffee flavor is a perfect balance to the roasty and bitter chocolate notes. An old style ale originating from farmhouse breweries of the Northwest Beligium. A soft, red, haze comes from the locally grown and malted Saskatchewan Red Wheat. Prairie Lily is brewed with two German aroma hops: Hallarau and Saaz. The sweet malts create an inviting balance to the earthy floral hops. Heather moved to the middle of the prairies all the way from Boulder, Colorado. She can’t point out exactly when, but growing up in Colorado, she admits that she got enough exposure with craft beer to turn her into the “craft beer lover” she is today. On days that Heather is not pairing a delicious brie cheese with a perfectly refreshing Saison, she can be found camping, attending festivals, or walking her dog Buddy. Cameron grew up in small town Humboldt, Saskatchewan and when he moved to the big city, he found his love for beer. Over time, his knowledge of the industry grew and it has unravelled a whole new world. Cameron spent a lot of time sampling every kind of beer he could put his lips to and at the end of it all, Porter is definitely his favourite. Creamy and roasty, a delicious rich stout is the way to go! Although Cameron is busy running this business and brewing beer, he still finds time to take in all Saskatoon has to offer. You will often find him downtown on the prowl for the next best beer.